The Best Pop Music blogs from the most popular music blogs in our index using search and social metrics. Data will be refreshed once a week. Also check out Pop Music Videos from Best 10 Pop Music Youtube Channels. Pop Music newsletter is a comprehensive summary of the day's most important blog posts and news articles from the best Pop Music websites on the web, and delivered to your email inbox each morning. To subscribe, simply provide us with your email address. About Blog Energetic, irreverent and utterly devoted to pop hits, Idolator provides pop music fans with the best new songs, music videos, photos and related media of the day, as well as a savvy take on daily pop news. Facebook fans 95,049. Twitter followers 51,350. New York About Blog PopCrush is the digital destination for fun and irreverent pop music, celebrity and entertainment news served with a fresh and positive perspective. Facebook fans 656,528. Twitter followers 125,463. San Francisco, CA About Blog The latest and greatest in pop music, all in one subreddit. Facebook fans 1,210,891. Twitter followers 578,703. London/Stockholm About Blog All the latest news and reviews from the world of Scandinavian pop music. Facebook fans 7,331. Twitter followers 7,791. Scotland, United Kingdom About Blog Pop, Playlists & Pizzazz - if you love 80s music, new music, Eurovision, cheesy pop and awesome playlists then let's get this pop party started. Facebook fans 176. Twitter followers 1,613. About Blog There’s a lot of music out there - good music. At Essentially Pop our remit is that we cover music that deserves to be heard, with a particular focus on independent artists. That doesn't mean we won't cover your old favourites - rather we hope to give you some new favourites as well. Facebook fans 302. Twitter followers 7,572. NYC About Blog Founded in 2007, MuuMuse is a sassy, classy music blog with a sarcastic bent dedicated to pop music commentary, reviews, interviews, exclusives and an unsettling amount of fan-fiction about Christina Aguilera. Facebook fans 9,842. Twitter followers 20,051. About Blog POP Music Obsessor/Blogger/Mixer/Masher-Upper/Remix Junkie. Contests, videos, news, exclusives! Be sure to follow for my monthly non-stop mixes of the hottest POP tracks in the POP ON AND ON MEGAMIX series. Facebook fans 6,129. Twitter followers 3,782. About Blog NekoPOP features reviews, interviews, and commentary for J-Pop, idols, dance, and other cool things from Japanese pop culture. Facebook fans 29,929. Twitter followers 195. Amsterdam About Blog A Bit Of Pop Music will provide you with the answer to your daily needs in pop music. You will find reviews on new singles, albums and concerts and interviews with a broad range of artists in contemporary pop music. Facebook fans 2,046. Twitter followers 416. UK, USA and Worldwide About Blog Classic Pop is the new bi-monthly magazine that finally gives pop music the recognition it deserves. After decades of rock magazines wallowing in the 60s and 70s, Classic Pop truly celebrates the explosion of creativity and diversity that shook up music in the late 70s, defined the sound of the 80s, and continues to influence today. Facebook fans 21,375. Twitter followers 9,610. About Blog EQ Music Blog is the authority on new electronic pop and alternative music with daily updates, news, music videos and interviews with the most relevant names in pop music. Their mission is to promote and foster the development of new pop and electronic music through online publishing, live events and social media. Facebook fans 4,503. Twitter followers 15,154. New York About Blog The Power Popaholic is a premier music blog that focuses on the genre of power pop and melodic rock. We also report on live shows, tour dates, gossip, MP3’s, videos and just about anything a power pop fan could want. Facebook fans 4,863. Twitter followers 2,920. Canada About Blog FRINGE MUSIC FIX is a Canadian based music video blog. The international artists and directors we feature are immensely talented creatives and we strive to showcase their experiences, perspectives, style, and their efforts to challenge and redefine modern pop music through their music and art. Facebook fans 2,458. Twitter followers 2,148. Kaarst, Deutschland About Blog Synthpop and genre related music videos, album reviews, DJ mixes, onlineradio broadcast and free MP3 music downloads. Always new music videos from Synthpop, Electropop, Futurepop, EBM, Electrorock and genre related. Facebook fans 3,580. Twitter followers 191. Aberdeenshire, Scotland About Blog On this blog you will find, amongst others, features such as news, views and reviews on all types of music past, present and future. There will also be regular items such as then & now, record breakers & trivia, mix-tape madness, awesome playlists and the Now! Project. About Blog The Music Elk is a PR & management agency that drives to help artists and brands to reach their goals. Our team of publicists and editors secure Spotify, Soundcloud, Youtube, Blogs (incl. Hype machine) and Radio coverage for the projects we work on. Austin, TX About Blog Broadcasting the gospel of popular culture around the world from the great nation of Austin, Texas. Facebook fans 1,086. Twitter followers 1,064. About Blog First we learn about new songs and albums, about the life of pop singers. Do you want to be the first who know�about the new events in the world related to pop. Facebook fans 11. Twitter followers 4. Toronto ON About Blog Charting the internet pop world one blog post at a time. Facebook fans n/a. Twitter followers 2,310. About Blog Pop, Rinse, Repeat blog has been showcasing the best in up and coming music and maybe some tried and true artists as well. It is a pop music blog that features mostly indie pop music but in reality music that interests the author. Facebook fans 5,567. Twitter followers n/a. About Blog 2loud2oldmusic.com is about my love for everything music. It will have album reviews, artists profile, music news and so much more. Facebook fans 88. Twitter followers 265. Facebook fans 442. Twitter followers 626. Melbourne, Australia About Blog Indie Electro Pop brings you new music in tune to the rhythm of your own beat. Enjoy regular updates and featured music designed to showcase independent artists with an electro pop feel. 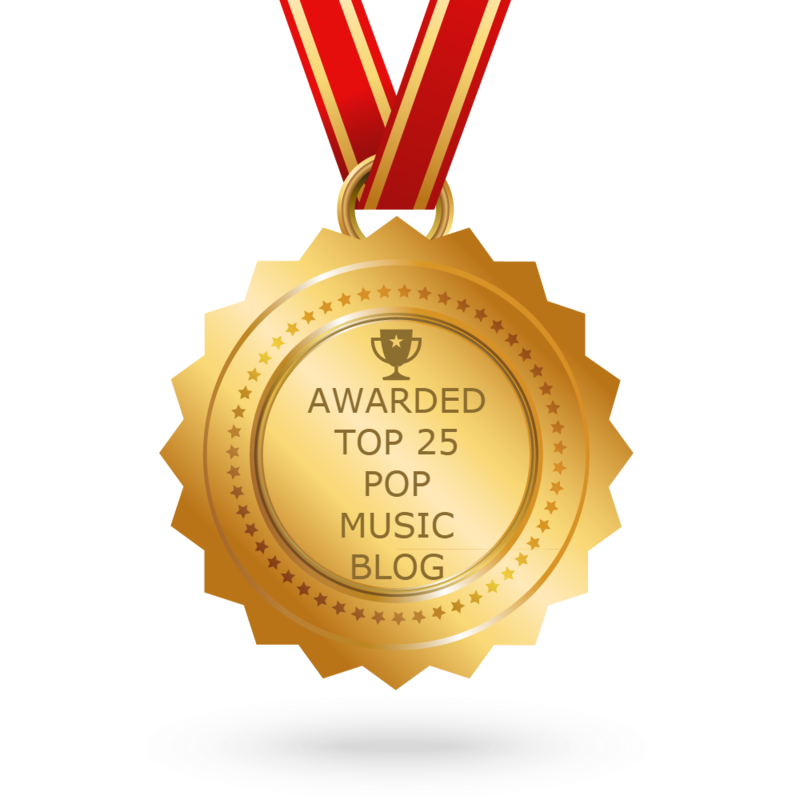 CONGRATULATIONS to every blogger that has made this Top Pop Music Blogs list! This is the most comprehensive list of best Pop Music blogs on the internet and I’m honoured to have you as part of this! I personally give you a high-five and want to thank you for your contribution to this world.